Who hit the bullseye, and who missed their mark – Jens brings you the full lowdown from the 2019 Geneva Motor Show. Of course, the manufacturers of a given home market will dominate at an auto show. 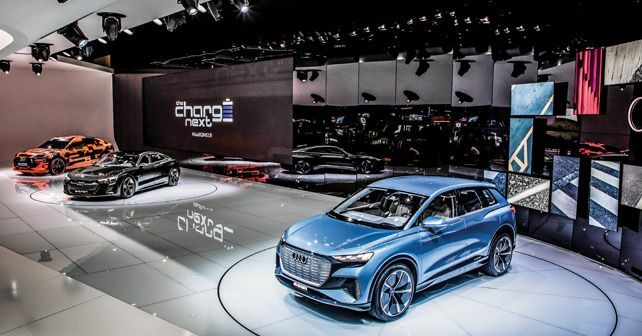 And, thus, the Detroit auto show is a display of the American Big Three (Chrysler, Ford and GM), while at the Frankfurt Motor Show, the German manufacturers present their range in an epic manner. And that’s why I like the Geneva Motor Show. Everyone is on neutral Swiss soil. If there is something out of size, it’s the unusual number of coachbuilders and designers. For enthusiasts, there’s no better car show. Unfortunately, cost pressures have meant that a few manufacturers were missing – Ford, Opel and Hyundai, also, premium brands Jaguar, Land Rover, Volvo and DS. At least, Opel and Hyundai told me they will probably come back. Nonetheless, Geneva was bustling with novelties – in all segments. Volkswagen is preparing for a year that will be completely dominated by e-mobility. But I wonder whether the ID Buggy, reminiscent of a rubber boat, was the right way to kick it off. And it was a bit strange to see the inventor of the German Post office’s electric ‘Street Scooter’ show up on the VW stage, as if they needed him to validate their strategy. Audi, Seat and Skoda showcased various interpretations of the all-electric MEB architecture. The Audi Q4 e-tron Quattro is a pleasing evolution of the brand’s design language – even if we’ve seen that ‘floating’ C-pillar elsewhere. Audi has dispensed with the camera-based rearview mirrors of the larger e-tron. Good – they don’t work well. The Seat concept el-Born looks sporty and provides an interesting interpretation of a closed front end, like the Tesla Model 3. The Skoda Vision iV is less impressive – it looks tall and clumsy. You can literally see how heavy it is. At BMW, there was the much-scolded new grille of the facelifted 7-Series, which I think is not so bad. The X7 features unusually large glass surfaces, and the 8 Series has a few too many lines and details. Munich also really needs to work on their cockpits. Daimler had a self-confident display. They brought along the handsome CLA Shooting Brake and a concept for the Smart brand, which unfortunately will only be available with electric drive in the future. The biggest advantage of a Smart, the ability to park virtually anywhere, will henceforth disappear for many owners. Owners will now need to search for charging stations, competing for spots with electric bigwigs. Tesla was notably absent, but Volvo subsidiary Polestar unveiled the Polestar 2, a 400-hp-plus sedan with electric drive. The show car featured elegant design elements, including exterior mirrors with flush glass. But the most beautiful thing was the fact that the Polestar 2 can exceed 200km/h. The two-door sister model Polestar 1 will even hit 250km/h. Incidentally, this is anything but consistent, because Volvo boasted about limiting the maximum speed of their cars to a meager 180km/h. The announcement was timed to coincide with the Geneva Motor Show. Volvo boss Hakan Samuelsson loves to play to the industry’s good conscience. I prefer the pragmatism and honesty of Fiat-Chrysler boss Mike Manley, as evidenced by his approach to topic of electrification. He said the company would simply pursue the cheapest solution to meet the strict CO2 targets – which could include paying penalties for non-compliance. Incidentally, the Italians also had one of the most beautiful exhibits. With a muscular body and incredibly delicate lines, the Alfa Romeo Tonale showed what a compact crossover can look like when experts are at work. Another well executed exhibit was seen at Honda – the electric Urban EV will go into series production with decidedly minimal styling both inside and out. Meanwhile, Kia’s concept Imagine featured a cockpit that seemed to be an ironic commentary on smartphone design. And then there were the coachbuilders and small manufacturers, with their sometimes playful, sometimes extremely sporty and always exotic vehicles – from the Russian Aurus Senate to the soft Hispano-Suiza Carmen and the Piëch Mark Zero. The latter electric sports car carries a big name, but its proportions are unsatisfactory. The company claims that the batteries can be charged to 80% in just 4 minutes and 40 seconds, and lacking any details, you just have to believe these visionaries. No wonder industry titan Ferdinand Piëch, whose son Anton is behind the Mark Zero, didn’t bother show up in Geneva.